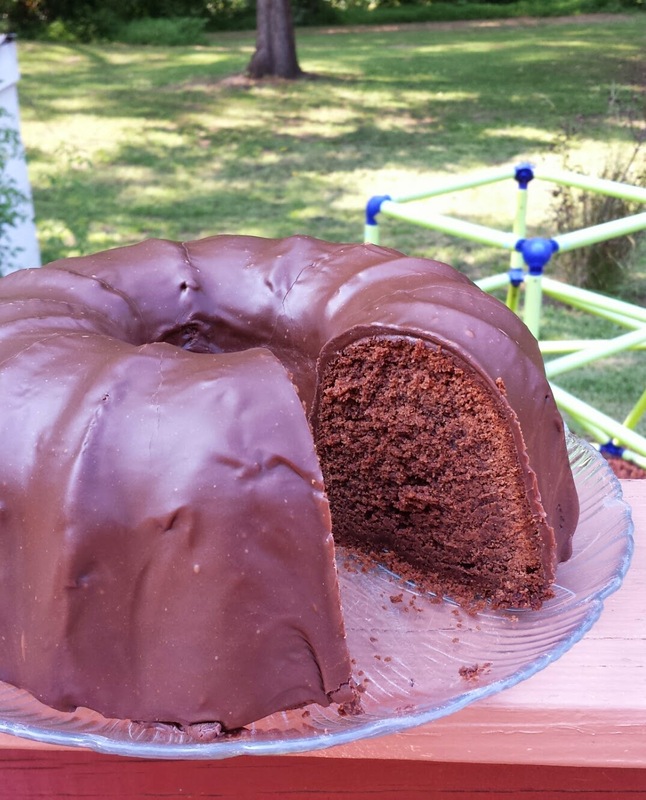 This is another recipe for the Nordic Ware 70's bundt cake cookbook. Not a bad cake, but a little on the dry side. I already altered the milk component to give it more moisture. Next time I'd probably reduce the cocoa powder by about a third and possibly add a couple more eggs. Something like a raspberry sauce added to each slice would have been perfection.....definitely more ideas for next time....hahahaha. Yummy! Beat butter and sugar together until creamy. Add eggs, beating for about a minute after each. Mix in vanilla. Mix together dry ingredients in a bowl. Add dry ingredients alternately with heavy cream. 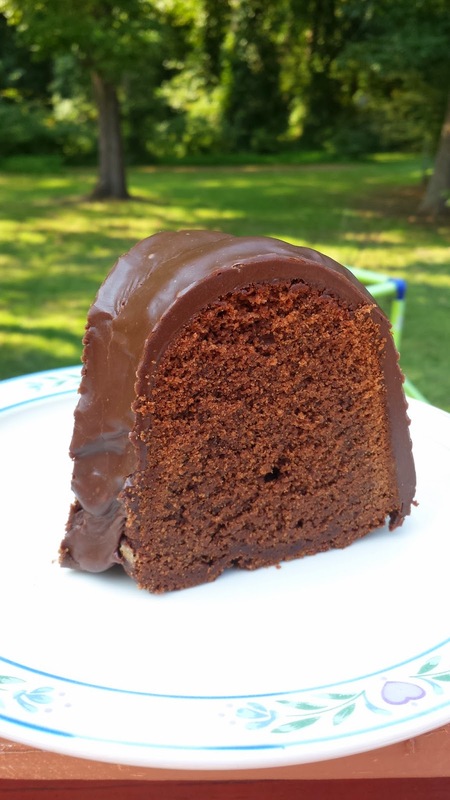 Spoon batter into a greased and floured bundt pan. Bake at 325 for 80 minutes or until cake tests as done. Cool in pan ten minutes before flipping out onto rack to finish cooling. Mix together milk, chips, and vanilla in a bowl. Microwave for about a minute, stirring halfway through. Heat additional time if needed to completely melt chips and thicken glaze. Stir in whipping cream to thin to desired glaze consistency. Spoon over cooled cake. Chill to set glaze before slicing. Am I missing something? I can't see where you have used whipping cream (1 3/4 cup heavy whipping cream) that was in the cake ingredients.